The Center for Transformative Teaching and Learning is the bridge between the latest Mind, Brain, and Education Science research and the teaching practice of primary and secondary schools around the world. St. Andrew’s renowned Center for Transformative Teaching & Learning (CTTL) is powered by the creativity of its faculty and the partnership of our university researchers. The CTTL makes research-informed teaching and learning the central focus of faculty professional development, curriculum and program design at St. Andrew’s. It connects independent and public school teachers, leaders, and policymakers through discourse on translating research into innovative teaching and learning strategies. One hundred percent of St. Andrew's pre-school through 12th grade faculty is trained by the CTTL in how to read and translate research in the field of Mind, Brain, and Education Science and implement it in their classrooms. The true beneficiaries of the training are St. Andrew’s students, from age 2 to Grade 12. The expectation is that each St. Andrew’s teacher will use his or her training to inform and transform the design of their class and work with each individual student in his or her current areas of strength and areas of challenge. Most importantly, because every St. Andrew’s teacher knows about brain plasticity, the ability of the brain to change both naturally and through deliberate practice by the student, St. Andrew’s teachers use research-informed whole-class and personalized strategies to help each student become more confident, efficient, and independent learners throughout his or her learning journey. Video made in collaboration with Morris Media. Students experience the exam period in three distinct parts: preparation, assessment and reflection. Our students contribute to CTTL research as Finn Family Student Research Fellows. 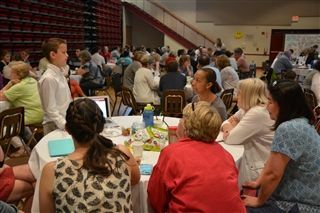 One hundred percent of St. Andrew's preschool through grade 12 teachers receive MBE training. Here's how we do it. Think Differently and Deeply is a nationally recognized publication written by St. Andrew’s pre-school through 12th grade teachers, students, alumni, and the CTTL’s university research partners. More than 10,000 teachers, school leaders, and policymakers have read the CTTL’s publication Think Differently and Deeply’s first two volumes, which provide models for how teachers can use research to inform the design of their classes and to work more effectively with each student. 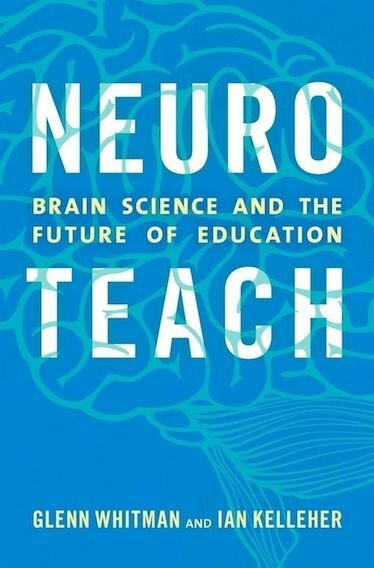 Glenn Whitman, Dean of Studies and Director of the CTTL, and Dr. Ian Kelleher, Science Teacher and Head of Research for the CTTL, have co-authored Neuroteach: Brain Science and the Future of Education. Featured by The Klingenstein Center, the book is a resource for all teachers and school leaders who are looking for ways to incorporate MBE research into the classroom.